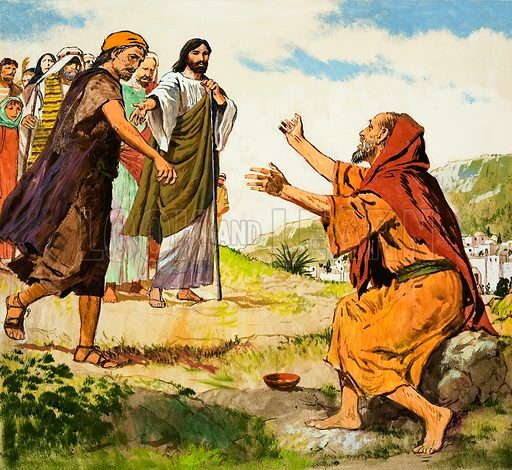 The Amazing Love of Jesus: The Blind Beggar. Original artwork for illustration on p9 of Treasure issue no 239. Lent for scanning by The Gallery of Illustration.